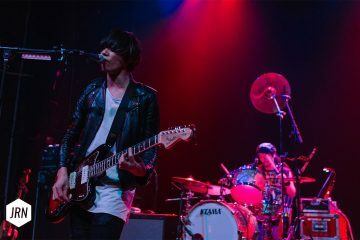 We were extremely lucky to be able to sit down and have a conversation with the popular rock band from Tokyo, [ALEXANDROS] before their show at Gramercy Theatre in New York. 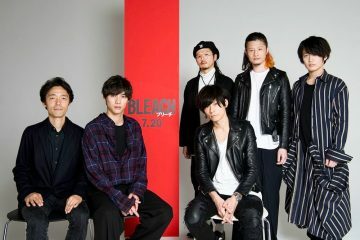 Having their music featured in things like the recent Bleach live action film and the upcoming game Project Judge by Ryuu ga Gotoku Studio, [ALEXANDROS] sets their sights abroad as they headlined a tour in the US for the very first time! 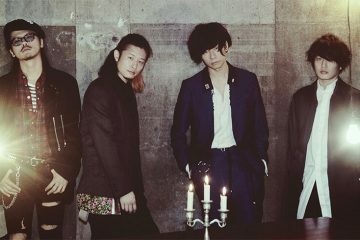 For this interview, we’ve been joined by vocalist and guitarist Yoohei Kawakami and Hiroyuki Isobe the bassist. Please enjoy. Is there anything you look most forward to when you travel abroad? Yoohei: I don’t really think there’s anything in particular. Things aren’t too different when traveling abroad. Of course, in America, not so many people know about us. So, basically, I think it’s the same. We’re not the best band in Japan right now, like we haven’t done a stadium show, so I think what we’re doing here is the same as what we’re doing in Japan. Are you given a lot of time to sightsee? Yoohei: [chuckles] Uhhh—I went to a Broadway show. Last night, we were in Washington DC. And before yesterday we went to go see the White House and the Capitol. We’re gonna have a day off tomorrow, but I think we have to do something else, so maybe we don’t have a day off. But it doesn’t really matter, because the most important thing is to play the show. You said your upcoming album was recorded in Brooklyn, New York. Do you feel like there’s a different experience in recording overseas as opposed to in Japan? Yoohei: Yeah, definitely yes. Everything is different. We weren’t only just recording songs but we were also making and composing songs. So in total, I think we stayed for 6 months in Brooklyn. And just by living in Brooklyn, that was totally different from living in Japan. The engineer guys and the producer were really cool, and a funny thing was that the assistant brought his dog to the studio. You know, those kinds of things are really different, but it was fun and yeah—full of freedom. Hiroyuki: Yeah, I would say the difference of atmosphere is what mattered to us, not the equipment. Was there anything different you were trying to achieve with this new album as opposed to previous albums? Hiroyuki: Not specifically, not really. We’re always trying to do something new you know, that’s what we’ve always been doing. It was almost the same this time. 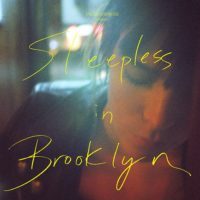 Yoohei: But the big difference is that most of the songs in the new album Sleepless in Brooklyn were made in Brooklyn, so it’s always good to bring those songs back. 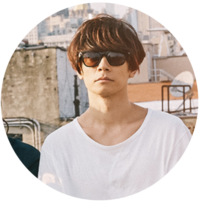 Hiroyuki: Yeah, so doing all the pre-production and making demos in Brooklyn, that itself was new. Do you have a dream venue to play in in the United States? Hiroyuki: Everywhere. Staples center in LA, MSG here in New York, and Barclays Center. Barclays Center because where we used to stay last year in Brooklyn was very close to it—like right next to it. Yoohei: And the rooftop, we’d be watching from our rooftop, and we could always hear something going on at night. Hiroyuki: [laughs] So yeah, playing at the Barclays Center would be overwhelming as well. Which western bands are you influenced by when composing music? 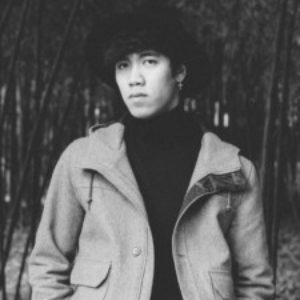 Yoohei: In my childhood, I was influenced by bands in the nineties, but now I don’t really have any like, specific genre. I listen to all kinds of music, I like pop, hip-hop, and R&B, and whether it’s in Japanese or English doesn’t matter. Were there any Japanese bands that influenced you when you were still new to the scene? And if you were to play with alongside a band here, who would it be? Yoohei: That’s a good question! Last year, we went to see Imagine Dragons, and that was really awesome, so yeah, maybe them. Hiroyuki: Yeah—Imagine Dragons or Royal Blood. Hiroyuki: Oh yeah! That’s right. What other countries in specific would you want to play in that you haven’t yet? Yoohei: Hmm, England. France would also be nice. Hiroyuki: Yeah, I would say everywhere. We want to do Russia, we want to do France. Yoohei: We’ve been to Asian countries like Taiwan, Hong Kong, Korea, and we went to Malaysia two weeks ago. But we would like to do a gig in Hawaii, I love that island. Hiroyuki: We also wanna go to Brazil, Chile—somewhere around there. Everywhere. There’s no reason to not want to be in any of those countries. There are a lot of fans traveling from afar to see you, some may be traveling from Japan. Do you have a message to the fans who weren’t able to attend tonight? Yoohei: Please come next time! Hiroyuki: Or you know, maybe someday we might be able to go to their town to play there. I mean, that is our final goal, and that’s kind of an answer to the first question you asked us. Going abroad isn’t a big deal for us, we’re just aiming high. We’re just trying to accomplish our final goal which is to play all around the world. Yoohei: Yeah. We want to be a band that is able to play everywhere in the world. 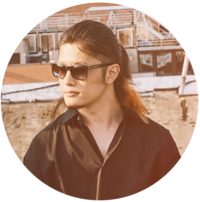 We’d like to thank [ALEXANDROS] for speaking with us! 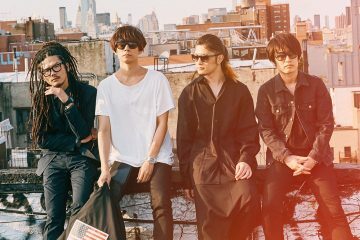 Make sure you check out their new video Arpeggio (アルペジオ) from their album Sleepless in Brooklyn that will be released on November 21.